Google parent Alphabet reported its 2017 second quarter earnings today after the closing bell. The company reported a 21% year-over-year increase in revenue from the $21.5 billion reported during last year's second quarter. $25.1 billion flowed into the company's coffers during the period from April through June. Earnings per share, at $5.01, topped Wall Street expectations of $4.49. Paid clicks rose 52%, but the cost per click dropped 23%. The Street was looking for a smaller 15% drop, which means that advertisers paid much less to advertise on Google than expected. Also negatively affecting the report was a $2.74 billion fine that was charged to Google by the EU for antitrust violations. The cost to acquire traffic came to $5.09 billion, up from $4.75 billion. For the quarter, operating income was up 15%, but after taking into consideration the fine, Alphabet reported a decline in Q2 profits. Revenue growth was led by YouTube ads and mobile search ads. The streaming video site now has 1.5 billion monthly users. Also today, Google CEO Sundar Pichai was added to Alphabet's board. The company also announced that it had hired more than 1,000 new employees during the quarter, with most of those added working for Google's cloud business. Google is planning on updating Google Search as consumers using smartphones continue to flock to the application. The company's success in search was one of the reasons why it was fined by the EU. The latter came to the conclusion that Google was using its monopoly in search to benefit its online shopping service over those of competitors. 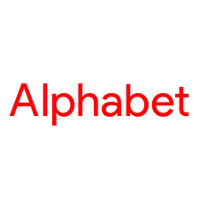 Investors dumped Alphabet shares after the report. Closing at the end of regular trading at $980.34 for a gain of $7.42 on the day, after hours the stock (ticker symbol GOOG) plunged $32.03 or 3.27%, to $948.31. Microsoft is next on the EU radar. Good luck to them. The headline is biased. "thanks to" indicates that the fine is not justified. But the fine is justified. Google abused its power. I have no problem in EU fining Google, Microsoft and Apple because they have gobble up the world finance leaving little or next to nothing for the rest of us. Eaten up by EU bureaucrats. K... the EU is rich again, can the successful companies go back to doing what they do best?! Nope. EU gotta get the cash fines from the separate Android, AdSense, and Search lawsuits too. They're going to be swimming in cash by the time this is over. Well done EU, now punish the Brexiteers! Don't be acted smart, you news idiot. EU needs to get a life already. Looting Google to fill their broke cash reserves due to Brexit. Crap.